The objective of the exercise was to improve on its current CSR approach/footprint by identifying the developmental needs of our communities (across the social, economic and environment pillars) with a view to supporting development of the communities and be able to adopt best practices to ensure value and impact. New Nigeria Foundation (NNF) was engaged as a sub-contractor to support “Using Extractives Data for Transparency and Accountability (UseData)” – a project funded by DFID. NNF was contracted to serve as local partner on this project with the responsibility of collecting data in Rivers, Delta, Bayelsa, Ondo and Imo States. 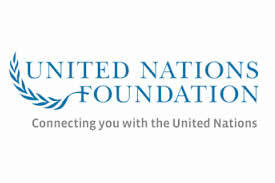 New Nigeria Foundation will be responsible for collecting data on community development projects implemented by eight (8) Regional Development Committees (RDCs) under the Chevron Global Memorandum of Understanding and thirty five (35) Clusters under the Shell Global Memorandum of Understanding in these states. 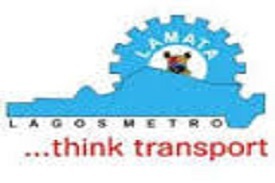 Lagos Metropolitan Area Transport Authority (LAMATA) engaged NNF to conduct a follow-up study to the 2014 Socio-economic baseline survey conducted for Wempco road, Ogba. The key objective of the follow-up study is to determine the key outcomes/impact indicators by which achievement of the project’s development objective (PDO) will be measured in terms of the earlier stated indicators and other relevant indicators as stated under the terms of reference. The electronic data capture method was utilized to carry out the study. 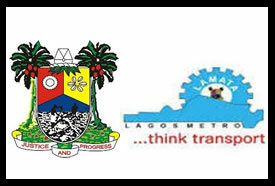 Lagos State Metropolitan Area Transport Authority (LAMATA) engaged New Nigeria Foundation to conduct a follow-up study to the 2012 Socio-economic Baseline survey for Mile 12 to Ikorodu Town Extension. The main objective of this follow-up study is to determine the extent to which the key outcome/impact indicators of the Project Development Objectives (PDO) have been captured. NNF was commissioned by Star Deep Water Petroleum (SDWP) on behalf of the Agbami partners to implement the construction of Medical Diagnostics Laboratory in Bayelsa State. The overall goal of the project is to establish an ultramodern laboratory equipped to international standards with the capacity to provide Teaching, Research and Service at the highest level in malaria, tuberculosis and HIV/AIDS. The objectives of the laboratory are to serve as a centre for collaborative and multidisciplinary health research with emphasis on malaria, tuberculosis and HIV/AIDS; provide facilities for qualitative and quantitative analysis of samples from within and outside Nigeria; render public health services as may be required by the immediate community as well as the nation as a whole; organize training courses, seminars, workshops, conferences and symposia in various aspects of its expertise for health workers, academics and policy makers as may be needed and or deemed necessary; solicit and attract support for essential health research; and host postdoctoral Fellows and postgraduate students from within and outside Nigeria. 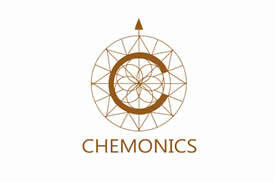 The project is located in Niger Delta University, Bayelsa state. New Nigeria Foundation (NNF) was contracted to provide a comprehensive M&E plan that will include amongst other things a plan on how baseline data for the Science laboratories, chest clinics, e-libraries and libraries constructed by Star Deep will be gathered before they become operational. The Activities (operations and usage of facilities donated by the project) will be monitored and the achievement of the objectives will be evaluated. The M&E plan is participatory and result-based and it involves an annual M&E training component for the officers in charge of the different facilities in the various beneficiary institutions. The projects are located in 34 states and the Federal Capital Territory (FCT). As part of its strategy to alleviate poverty by supporting small holder farmers (SHFs) BATNF constituted an Executive Working Group (EWG) comprising experts in agriculture, socio-economic policy and climate change to assess the effectiveness of these agricultural policies, especially the ones embedded in the Agricultural Transformation Agenda, in order to establish their impact on small-holder farmers in Nigeria and provide suitable recommendations for their improvements. The strategic objectives of the EWG for the review of the ATA and other policies are: To contribute to national discourse on Agriculture Policies with specific review of the Agricultural Transformation Agenda and other agricultural policies; and to fulfill part of the Foundation’s voluntary commitment to smallholder farmers by ensuring viability of public policies that they can benefit from, in the short and long term. NNF facilitated the exercise. NNF was contracted as consultants by rePlan, a Canadian consulting firm to undertake socio-economic and assets survey of households under the Badagry Seaport Development Company project. The purpose of the census and asset survey (CAS) was to ensure that BPDC has comprehensive and accurate information on all household members and the assets they own and use. This survey will be used for resettlement planning. NNF has been involved in training staff of CNL and leaders of its host communities on Mutual Gains Approach to Negotiation. This involved various participatory approaches that promote learning among participants. Training programmes have been conducted for representatives of host communities in Delta, Bayelsa, Rivers, Imo and Ondo states and many members of staff of CNL involved in the management of company’s community engagement. NNF facilitated the negotiation and renegotiation of the GMOU between Chevron and the 8 Regional Development Councils (RDCs) in Chevron’s area of operation. NNF has been involved in training staff of CNL and leaders of its host communities on Mutual Gains Approach to Negotiation. This involved various participatory approaches that promote learning among participants.Training programmes have been conducted for representatives of host communities in Delta, Bayelsa, Rivers, Imo and Ondo states and many members of staff ofCNL involved in the management of company’s community engagement. The Kano Urban Transport Project Office (KUTPO) through the Lagos Metropolitan Area Transport Authority (LAMATA) contracted New Nigeria Foundation to conduct a study on the socio-economic impact of banning two wheeler operations in Kano Metropolis. The study is aimed at appraising the socio-economic impact of the ban on both commuters and current and former operators of commercial transport within the metropolis. 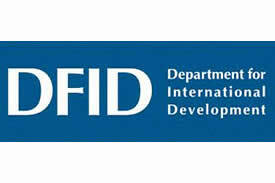 The project is funded by the World Bank through the International Development Association (IDA) Fund..
NNF was contracted as consultants by CONTEXT, an American Business management and strategy consulting firm to conduct a cross-crop value chain analysis for 6 commodities namely sorghum, millet, maize, cowpea, groundnut and plantain in the North West, North Central and South West Nigeria. The study sort to identify the constraint of all the actors along the value chain with the aim of strengthening the agricultural value chain to the benefits of all stakeholders including input providers, farmers, traders, processors and users etc. NNF reviewed some relevant out growers scheme for the commodities and proposed a business model that is mutually beneficial to the small holder farmers and processors. 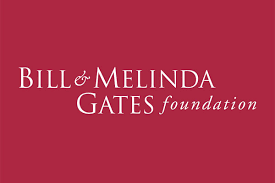 The outcome of the study was largely used to design the Bill and Melinda Gates Foundation Agricultural intervention plan for Nigeria. The Foundations for Partnerships Initiatives in the Niger Delta (PIND) is a Nigerian non-profit foundation providing support for socio-economic development programmes in the Niger Delta region. 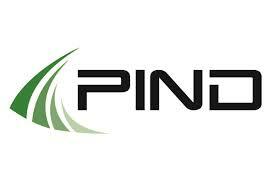 PIND after four years of operations sought to evaluate its activities to have an informed strategic direction and identify opportunities for continued development. A wide range of stakeholders were interviewed on their views on the operations of PIND through KIIs and FGDs. 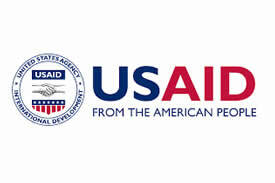 The LEAD programme is a local governance strengthen programme jointly funded by USAID and PIND in Rivers state. The programme goal is to create sustained momentum towards improve local governance in Nigeria by building accountable and effective local governments through capacity strengthening of local government and civil society for improved service delivery in Nigeria, the programme was implemented in 3 LGAs in Rivers state. NNF was contracted to design and implement an evaluation process that will bring together stakeholders and beneficiaries for interactive dialogue and collective learning that will inform review of the implementation of the programme. Multi-stakeholder Team in respect of the Mystery Spill of December 2011. 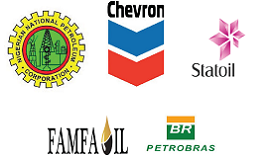 SNEPCo constituted an independent Multi-Stakeholder Team (MST) to manage the process of addressing the representations from the various government agencies with respect to the Mystery Spill, and make recommendations on the appropriate modalities and scope of the palliatives to be provided, in an open, transparent and objective manner devoid of emotions, and with no liability to SNEPCo. Secretarial support for the MST was provided by New Nigeria Foundation (NNF) and the MD of NNF chaired the MST. 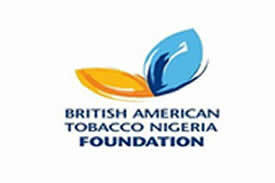 The Vegetable Enterprise Value Chain Development Project in Ajara Farm Settlement in Badagry, Lagos state is a social investment project by British American Tobacco Nigeria Foundation (BATNF). BATNF has invested in agricultural development for over 10 years targeting farming communities across Nigeria. The project seeks to support improvement in agricultural productivity and incomes of small holder farmers through capacity building, access to market information and linkages. BATNF commissioned NNF to carry out a market study with the aim of identifying factors that influence the sales of tomatoes and vegetables in various markets in Lagos State.The study examined various aspects of marketing tomatoes and vegetables including requirements in sourcing vegetables, current sources of supply, quantity and various types of vegetables demanded, pricing and delivery requirements, trading practices and transportation issues. 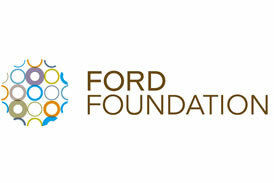 This project is being jointly implemented by NNF and 2013 (On- Ford Foundationgoing) Consensus Building Institute (CBI), a U.S.-based non-profit organisation, with the aim of establishing a multi-stakeholder Forum that would promote effective and efficient use of oil and gas revenues for development in Nigeria. The Forum would advance the project’s goal by bringing together diverse and influential Nigerian leaders with backgrounds in government and politics, business and economic development, community empowerment, academia, religion, culture, and media. The forum will explore obstacles and opportunities for making better use of oil revenue; create partnerships and act as a coalition to promote new policies and initiatives with government, business, civil society and other stakeholders. The needs assessment targeted small holder farmers in seven communities: (Ajara Farm Settlement in Badagry, Lagos state; Otte in Kwara state; Ogbooro, Igboho and Otu communities in Oyo state; Emuoha in Rivers and Akure in Ondo state). The specific objectives included: investigating the demographic status of the respondents; examining the socio-economic status of the respondents; establishing baseline socio- economic data of the respondents; probing and establishing the critical economic challenges and needs of the respondents; classifying in order of importance and preference the areas of possible agricultural interventions in the areas; and identifying project beneficiaries/stakeholders at each of the potential project locations. The study focused on car owners living along the Mile 12 - Ikorodu town and their willingness to patronize public transport services. The objectives of the study included determining the proportion of sampled public transport patrons that own cars or motorcycles, as well as why patrons do not use their vehicles when they are available for specific journeys. The baseline socio-economic and demographic survey of Akin Adesola road in Victoria Island and WEMPCO road in Ikeja area of Lagos state is aimed at determining key performance indicators for measuring outcome/impact indicators by which the achievement of the project’s development objective (PDO) will be measured. The scope of work for the project includes repair/ rehabilitation of defects on carriageways, road surface drainage systems and construction of roads, as well as refurbishment and provision of street lights. The project is part of the Lagos Urban Transport Project (LUTP II) being implemented with support from the World Bank through the International Development Association (IDA) Fund. This baseline study presents an update of existing transport demands of a sample of residents along Mile 12 to Ikorodu town. Survey tools and a framework for a Management Information System were developed to monitor changes in transport patterns and transport user satisfaction along the corridor. The study classified vehicles in the study routes, determined speed of the vehicles on the roads before rehabilitation, during rehabilitation and after rehabilitation, identified bottlenecks and issues impeding traffic on the corridor as well as key performance indicators. The project involved gathering of development contents for the establishment of information and communications platform for development actors working in the Niger Delta region. The website, which is now operational, provides information on development issues and activities in the Niger Delta region including news, programmes, job opportunities, projects being implemented, etc. The two-day training programme aimed at building the capacity of BATNF staff in planning and managing sustainable development projects. The training focused on developing monitoring and evaluation plans, conducting baseline studies, needs assessment, impact assessments of development projects and introduction to value chain analysis. The project seeks to improve the performance of students in the Secondary School Certificate Examinations in Chevron Western operation areas over a 2 year period. 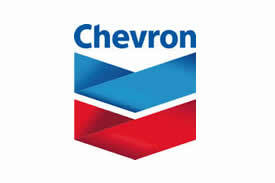 Chevron contracted New Nigeria Foundation (NNF) to carry out the project. The two year project involves preparing students of 20 schools in Delta and Ondo states for the secondary school national examinations. Project components include training of teachers and school administrators, improved access of students to relevant educational resources, tests in relevant subjects, etc. The goal of this study was to assess the needs of the disadvantaged groups (women, the elderly, children and the physically challenged) residing or carrying out business activities along Mile 12 to Ikorodu town BRT corridor and determine the role that transport plays in their lives. The specific objectives included: examining the travel behavior of people in the proposed BRTcorridor with special focus on disadvantaged groups; identifying and quantifying specific transport constraints faced by these groups of persons in their performance of day to day activities; and examining social and economic dimensions of the socialgroups whilst accessing transport infrastructure and services in Lagos. The exercise was carried out using Key Informant Interviews, Focus Group Discussions, and enumerative survey. The ‘gas to power’ project aims at utilising associated gas, either from a flow station or an oil well and, through a micro turbine, generate electricity for domestic and small business consumption. The project will deploy a 0.5 MW gas turbine to produce and distribute electricity to about 3,000 households and 500 small businesses as well as 5 health centres and 6 schools. The project design has a strong community ownership element in-built: the entire assets and operations are to be managed and maintained by a community-based utility company that will be owned by the community. Significantly, the project will help to give communities a real stake in oil production in the region, NNF is to manage the project. This study sought to understand the systemic constraints poultry producers in the region had, with a view to identifying growth potential for large numbers of small enterprises and where improved access to markets and services can result in increased profitability and greater incomes for people in the region. The perception survey aimed at assessing how the company’s critical stakeholders in its host communities perceive the company and its activities, especially Sagamu and Ewekoro in Ogun state. Activities carried out include focus group discussions and key informant interviews. 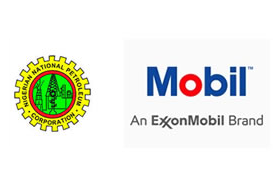 NNF was engaged by Mobil Producing Nigeria Unlimited as the Project Management firm for the execution of 38 infrastructural projects in some communities in Esit Eket LGA of Akwa Ibom state. 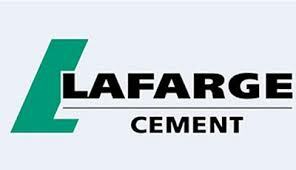 The Foundation was engaged among other things to exercise direct oversight function over the projects viz facilitate the engagement of qualified and competent professionals/contractor(s) required for the execution of the projects and ensure safe practices on work locations. NNF organized training on MPN’s Safety, Health and Environment (SHE) regulations for the contractors. The projects included construction of buildings, renovation of police station, paramount ruler’s palace and town halls, health facilities, provision of water and construction of classroom blocks. The Foundation disbursed funds to contractors upon satisfactory attainment of approved milestones. NNF provided the client with detailed progress reports and close-out report. 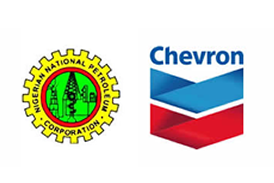 Chevron Nigeria Limited constituted an independent Multi-Stakeholder Committee (MSC) to manage the process of addressing all issues around the claims from various communities and individuals, in Bayelsa State and beyond with respect to the KS Endeavor rig fire incident at CNL’s Funiwa field on 16th January 2012; establish the nature of the likely impacts, if any, on communities’ livelihood, individuals, etc. of the incident; evaluate and assess the claims made by individuals and communities with respect to the incident with the intent to reach amicable resolution; make recommendations to CNL on the best ways to amicably address and resolve claims arising from the incident; make recommendations to CNL on the best ways to sustain excellent host community/operator relationship beyond the incident; and make recommendations to CNL on the best ways to acknowledge those who supported the rescue team on the incident. Secretarial support for the MSC was provided by New Nigeria Foundation (NNF) and the MD of NNF chaired the MSC. As part of its corporate social responsibility, Star Deep donated fully equipped libraries, e-libraries and science labs to various schools in different states across the country- to improve access to qualitative education under its education programme. NNF managed the provision and installation of required furniture, and procurement of equipment and reagents. Some of the activities carried out by the Foundation included call for tenders, organization of bid walks for contractors, opening and analysis of bids, selection and engagement of contractors, training on HSE, monitoring of projects and payments for milestones achieved as agreed, and disbursement of funds for supplies of materials and equipment for the projects. NNF coordinated the entire logistics and facilitated the execution of Community Medical Assistance Programme for 8 KEFFES Regional Development Council (RDC) Communities in response to the fire incidence at Chevron Nigeria Limited Funiwa Gas Field in Bayelsa State. Needs Assessment Survey of Some Communities in Ewekoro and Sagamu LGAs of Ogun state. a) understanding Sagamu and Ewekoro communities and their resources; b) identifying the developmental needs and priorities of the communities; c) proffering solutions to developmental problems/needs in a participatory manner by various stakeholders in Ewekoro and Sagamu communities. The exercise was carried out using Key Informant Interviews, Focus Group Discussions, enumerative survey and PRA tools. Sequel to the recommendation on the need for a new participatory community engagement process, WAPCO contracted NNF to facilitate MoU between WAPCO and the Community Development Councils (CDC) within the communities that WAPCO operates. The project aimed at assessing the extent of good urban governance in the two LGAs based on certain international principles adapted to the Nigerian situation. It involved the use of interviews and focus group discussions on different stakeholders in the communities including LGA officials. NNF provided an in-house Monitoring and Evaluation consultant and an external Palm Oil Processing and Production Specialist for the project in partnership with e-Gen consultants Limited, Bangladesh (the lead partner). The project entailed conducting a Palm oil value chain analysis, assessment of farmers, farms, nurseries, mills and fabricators, market analysis and stakeholders workshop. Three BDS providers were contracted to provide technical services and training for nursery operators, oil palm farmers, processors and fabricators. This study was a follow-up to the “Analysis of Economic Opportunities in the Niger Delta” study. The study entailed desk research, key informant interviews and focus group discussions. Analysis focused on identifying growth potential in which large numbers of small enterprises operate and where improved access to markets and services can result in increased profitability and greater incomes for people in the region. NNF used the Participatory Rural Appraisal Technique to determine the needs and identify best intervention options in six communities impacted by Chevron activities in Delta state. Study of the Construction and Real Estate sectors in Lagos state. The study on construction and real estate sectors in Lagos state was carried out under the World Bank/DfID Growth Employment and Markets in States (GEMS) programme being implemented by Coffey International Development. The study used the Making Markets Work for the Poor (M4P) approach using focus group discussions, key informant interviews and enumerative surveys. This baseline survey involved updating existing transportation demands of a sample of residents in nine LGAs in Lagos state taking due cognizance of their socio-economic status. Methods used included focus group discussions, key informant interviews and enumerative surveys. Identification of appropriate governance model for the laboratory (board management, structure, staffing policy and plan, remuneration package, staff welfare, conditions of services. Identification of roles of stakeholders in the management of the laboratory (funding, reporting, appointment etc.). Development of long term sustainability plan. The goal of this study was to better understand the travel patterns and behaviour of vulnerable groups i.e. women, children and the disabled living in some selected corridors within Lagos Metropolitan area and the role that transport plays in their lives. The study involved the use of FGDs and enumerative surveys in identifying the travel behaviour of respondents; specific transportation constraints faced by these groups and how the groups access key economic activities within the selected corridors. 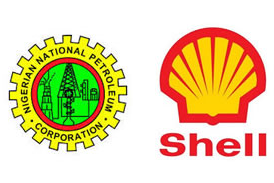 The Foundation was involved in the joint internal/external assurance review of Shell GMoU to chart the way forward. Activities included the design of evaluation instruments, conduct of evaluation in Shell communities and presentation of findings. The study assessed the impact of the Advisory Services Activities (ASAs) on Fadama users’ enterprises, reviewed the processes for making demands and the implementation of advisory service activities at the state and community levels. The evaluation took place in 5 states (Imo, Lagos, Niger, Ogun and Oyo) and the FCT Abuja. A baseline survey of Soya Bean production was conducted in four states (Kano, Kaduna, Plateau and Benue) for PrOpCom. The study involved gathering of baseline information on stakeholders through the use of survey tools. Data gathered was analysed and a detailed baseline report was written and submitted. This involved gathering of information from farmers, processors and traders in Abia, Akwa Ibom, Benue, Kano, Osun and Yobe states through the use of focus group discussions, key informant interviews, enumerative surveys and case studies to generate data on the potentials and constraints to agro-industry development preparatory to the Fadama II programme. Data collected was analyzed, interpreted and a report was presented to the client. NNF carried out a baseline survey of Ofada rice production in four states for PrOpCom. The study involved gathering of baseline information on stakeholders. Data gathered was analysed and a detailed baseline report was written and submitted. NNF was involved in the survey of technology centres, processors, dealers and fabricators in Lagos, Ogun, Oyo, Enugu, Ebonyi, Abia, Kaduna, Kano, Niger, Kwara, Ekiti, Plateau, Benue, Nasarawa and Osun states. This led to the establishment of three pilot networks: Lagos-Ogun-Oyo, Enugu-Ebonyi-Abia, and Kano-Kaduna. NNF facilitated the take-off of the networks, conducted capacity assessment and was involved in activities to strengthen the networks. The aim was to promote the use of agric mechanization innovations in Nigeria. 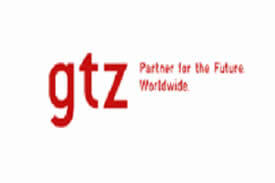 NNF facilitated capacity building workshops for Business Development Committees set up by the German Technical Cooperation (GTZ) in Niger and Nasarawa states between 2007 and 2008. NNF used a tool (Compass) to assist local stakeholders in strategizing, monitoring and continuously assessing and adjusting their processes for Local Economic Development (LED). NNF together with other consortium NGOs was involved in planning, conducting and reporting on the participatory evaluation of the third phase of the Chevron GMoUs across the five RDCs in Bayelsa, Delta and Ondo States. The process used in conducting the evaluation was participatory involving the critical stakeholders in the GMoU process. Data collection for the evaluation was done through focus group discussions (FGDs) and key informant interviews (KIIs) using tools developed through a participatory process involving key stakeholders of the GMoU in series of workshops organized as part of the evaluation process. The tools were used to generate qualitative data on what is working well in the GMoU, what is not working well and how to improve the operations of the GMoU. Collection of data was done in 15 communities across 3 States. Feasibility of success in terms of achieving international competitiveness, bringing about needed policy reforms and the capability of private actors to deliver the potential upsides. The real outcome was to identify some value chains (2-4 for each State) where there was good potential to achieve substantial growth and employment generation through a coordinated set of interventions by government, donors and private sector and to identify, broadly, what sort of interventions would be involved. Relevant data on the value chains was collected by NNF and sent to EME for analysis. 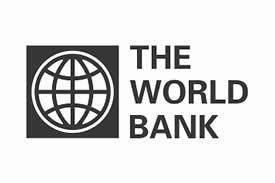 The data was analyzed and a report was prepared for the World Bank. This study examined the CSR practice of about 160 organizations in Nigeria. 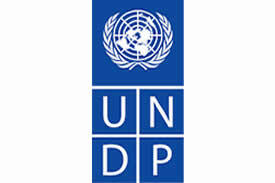 The objectives of the study, among others, were to assess the practice of CSR in the private sector; identify, assess and measure the success of current CSR strategies adopted by the companies; assess the extent to which CSR activities contribute to the organizations’ CSR objectives and national development goals; and align the practice of CSR in Nigeria with international best practices. NNF planned and executed several interactive fora on Corporate Social Responsibility for operators in the Private Sector in Nigeria. The data was analysed and published and formally presented to the public in April 2007. Baseline survey of NGOs/CSOs in the nine States of the Niger Delta was conducted to develop a database of NGOs and CSOs in the region. The study involved gathering of baseline information through enumerative Surveys. The project facilitated the establishment of a viable oil palm cluster in the state. The project at inception carried out baseline studies, needs assessment and identified constraints of stakeholders along the oil palm chain in the state. It mobilized the stakeholders to develop specific activities to deal with the identified constraints. Project implementation involved training and capacity building for cluster leaders, oil palm farmers, nursery operators, processors, machine fabricators and input suppliers. A Performance Monitoring and Evaluation Plan (PMEP) was designed for effective periodic monitoring of activities carried out. The project targeted some communities in the state; the Ikot Akpa Nkuk community in Ukanafun Local Government Area and the Ikot Oku Ikonno community in Uyo Local Government. The project facilitated the establishment of 30 cooperative associations and 6 cluster unions to mobilize all stakeholders in crop and livestock production in order to optimize their roles in the crop-livestock commodity chain. It also promoted a new initiative which encouraged movement away from the conventional exclusive dependence on an extensive system of livestock raising, to a more intensive one that promotes fixed-place ranches for increased cattle production and more efficient cattle marketing. Crop and livestock farmers also had their capacities built through series of training and workshops on cattle fattening, breeding, rearing, health maintenance, meat processing and meat products, preparation of supplementary feeds, crop production and marketing. NNF undertook a survey to assess the needs of 2 communities (Egbu and Emekuku) in Imo State with the objective of improving the livelihoods of the people in communities. The Foundation was involved in identifying agricultural commodities, related production centres, and specific interventions which formed the focus of the programme’s initial efforts during Phase II of the programme (July 2005-December 2007). NNF was specifically involved in the study of the cassava and cashew sectors. Activities under this study included identification of key stakeholders in the cassava commodity chain and related service markets; identification of business support services (BSS) providers at centres of commodity production and activity; identification and proposition of interventions in the cassava commodity chain; identification of potential ‘delivery mechanisms’; and the preparation of proposed budget for the intervention, as well as any potential grants and subcontracts required by the intervention. Community Health Services Programme (CHSP) in 46 communities in 12 States. The primary objective of the CHSP was to improve the health status of populations in target communities with special focus on mothers and their under-five children. NNF was involved in educating the stakeholders on the benefits of the programme, building the capacity of the community for the project as well as disbursing of funds for infrastructural facilities in the project areas. NNF’s CHSP approach was based on the principles of co-management and co-financing of community primary health care systems as well as demand-driven identification and prioritization of corresponding community-based interventions. It incorporated a process of needs assessment, strategic planning and project design that fully involved concerned community-based organizations in developing a medium-term (3 – 5 years) health plan. These careful plans formed the basis of specific proposals that communities submitted to NNF for funding. They were also used to leverage additional funding from concerned government agencies (state and local governments), international donors, and local and international organizations.Evaluation was undertaken in 2005 to ascertain the impact of the project on the beneficiaries. The primary objective of the CHSP was to improve the health status of populations in target communities with special focus on mothers and their under-five children. The project incorporated baseline study at the initial stage and a Performance Monitoring and Evaluation Plan (PMP) was designed for effective periodic monitoring of activities being carried out. Evaluation was undertaken to ascertain the impact of the project on the beneficiaries. The project was a community driven, community owned primary health project in 46 communities, 34 of them in the Niger Delta. Design and implementation of an M&E programme for the Community Health Services Programme (CHSP) in 46 communities in 12 states. The primary objective of the CHSP was to improve the health status of populations in target communities with special focus on mothers and their under-five children..The project incorporated baseline study at the initial stage and a Performance Monitoring and Evaluation Plan (PMP) was designed for effective periodic monitoring of activities being carried out. Evaluation was undertaken to ascertain the impact of the project on the beneficiaries. The project was a community driven, community owned primary health project in 46 communities, 34 of them in the Niger Delta. Netting of homes and fumigation of households and surroundings. A Performance Monitoring and Evaluation Plan (PMP) was designed for effective periodic monitoring of activities being carried out. Rollback Malaria workshop targeted at the 25 NGO implementing partners in 46 communities in 12 states where the CHSP was active, the local government and state government officials. Special training programme for laboratory technicians residing in the local government areas where the CHSP was operational. This study identified challenges, limitations and opportunities inherent in specific commodities that were key to the local, regions and national economic fortunes in terms of export development, investment promotion, infrastructure improvement, and human capital development. NNF used a combination of secondary data, interviews and meetings with stakeholders to gather basic information on the framework. Worked with officials of Rivers state government, commissioners, local NGOs and relevant international development agencies to identify a series of discrete projects and investment opportunities. These projects were outlined in sufficient detail to provide both cost estimates and preliminaries feasibility analysis to an audience of interested donors and private sector investors. The NNF, representing, as it does, the unique partnership in Nigeria between the public and private sectors is in as excellent position to mobilize these resources.This package was developed as a series of specific investment activities that were mutually developed between NNF/CI and Rivers state. 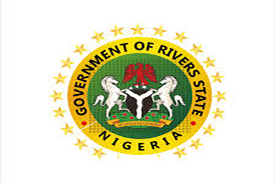 The basis of this strategy was the partnership between Rivers state, the federal government, donor agencies, the Nigerian private sector, and most importantly, the citizens and local organisations of Rivers state. The study was conducted to assess the social impact of a cassava processing plant donated by SPDC to the community. The study involved data and information gathering, conducting socioeconomic baseline studies, focus group discussions and in-depth interviews. The purpose is to build capacity in a variety of information and communication technology related areas such as internet connectivity, video conferencing and multimedia messaging. Also to enhance the capacity of young men and women to work as skilled workers in the extractive and services industries. The effort began with assessment of existing ICT infrastructure and provided solutions accordingly. A fully equipped computer laboratory was established to provide access to the internet to the University community. 50 fully networked internet ready Pentium computers were provided with computer furniture and a 64kbps broad band dedicated internet connectivity. 5 members of the University staff were trained in System administration to manage the facilities. Worked with officials of Bauchi state government, commissioners, local NGOs and relevant international development agencies to identify a series of discrete projects and investment opportunities. This package was developed as a series of specific investment activities that were mutually developed between NNF/CI and Bauchi state. The Nigeria Market Development for the Niger Delta Programme (MADE) is a DFID supported project aimed at promoting livelihoods in Nigeria through value chain (cassava, oil palm, poultry, aquaculture, recycling and agro inputs) promotion to increase economic growth, employment and incomes. The programme is targeted at the nine states in the Niger Delta region (Abia, Akwa Ibom, Bayela, Cross River, Delta, Edo, Imo, Ondo and Rivers states). 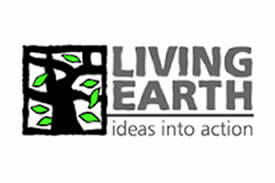 It utilises the Making Markets Work for the Poor (M4P) approach to ensure that interventions are pro-poor and inclusive of vulnerable groups, working in close collaboration with the extractive industries to support community engagement. 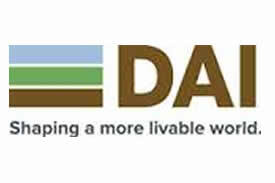 NNF is partnering with DAI in providing logistics and technical support for the programme at the design stage and implementation and is also a member of the MADE Technical Advisory Board. NNF is managing the PPCD project set up by Chevron Nigeria Limited (CNL) as a vehicle to strengthen and build the capacity of the RDCs to deliver on the Global Memorandum of Understanding (GMoU) which it entered into with the Communities and State Governments in the areas where it does business in the Niger Delta. PPCD commenced its operations in early 2010 with assessment of the RDCs to identify the total gamut of capacity gaps through organizational capacity assessment (OCA). After the assessments, bespoke capacity building programmes were designed and delivered to all the RDCs from 2010 to date. Baseline study and evaluation of Community Health Services Programme (CHSP) in 46 communities in 12 states. The primary objective of the CHSP was to improve the health status of populations in target communities with special focus on mothers and their under-five children. The project incorporated baseline study at the initial stage and evaluation was undertaken in 2005 to ascertain the impact of the project on the beneficiaries. The project was a community driven, community owned primary health project in 46 communities, 34 of them in the Niger Delta. 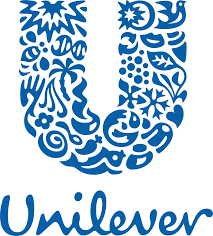 collect any other relevant information that may help in determining what form of community relations strategy/plan that can be adopted by Unilever. NNF is currently partnering with Akwa Ibom State Government in the development and implementation of the Akwa Ibom State Agricultural Policy and Food Sufficiency Strategy. NNF intends to support the state to develop and implement medium and long-term strategies that will promote economic diversification, increase internally generated revenues and assure inclusive growth and development in the state. 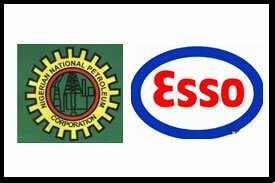 Total Upstream Nigeria Limited (TUPL) and Nigeria National Petroleum Corporation (NNPC) contracted New Nigeria Foundation as Project Manager for the construction and furnishing of Women Development Skills Acquisition Centre, a donation to Ekiti State Ministry of Women Affairs.